When it comes to electrical wiring, it’s best to leave the work to the experts. And that’s precisely where we come in. At Residential Electric Heating, Cooling & Insulation, we offer comprehensive electrical wiring services for homes and businesses throughout Bloomington, IL. No matter the size of your property or scope of your project, we have the tools and skills to complete it accurately and efficiently, all the while maintaining the high standard of quality you’ve come to expect. The team at Residential Electric Heating, Cooling & Insulation is ready to tackle a variety of electrical wiring jobs. 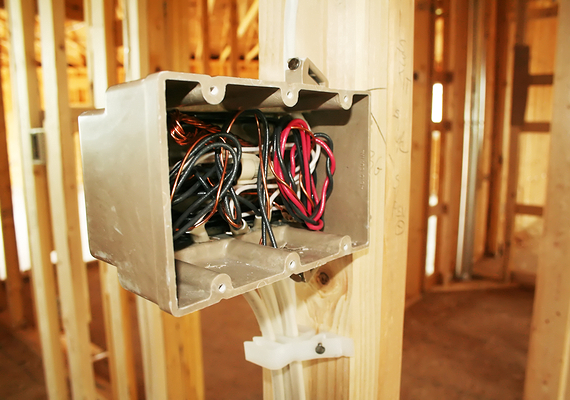 From new construction to renovations, we’ll get your property wired so that your electrical setup is up to code. We go out of our way to pay attention to detail on every project we work on; and we aim to keep our rates reasonable without compromising on quality or service. If you’re in need of electrical wiring services, ours is the team to trust. Call today for more information or to schedule an estimate for your upcoming project. Don’t take chances with your home or business when Residential Electric Heating, Cooling & Insulation is on hand to provide Electrical Wiring service you need. Call us today at 309-829-4230 for more information or to schedule an estimate.